This cleaning supplies dolly, mobile cart is well designed and helpful in transporting heavy loads to their destination! 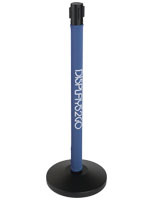 Hotels, shopping malls and other large office buildings typically use this pushcart to tote needed supplies around. 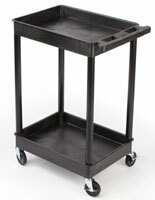 This mobile cart, such as a janitor dolly or multi purpose haul, is commonly used in hospitals as well as in schools. 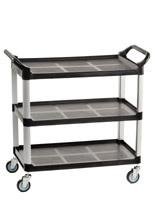 This mobile cart holds whatever you need to bring around with you while you move to each task. Hospitals make use of this plastic trolley by transporting medical supplies to patients! 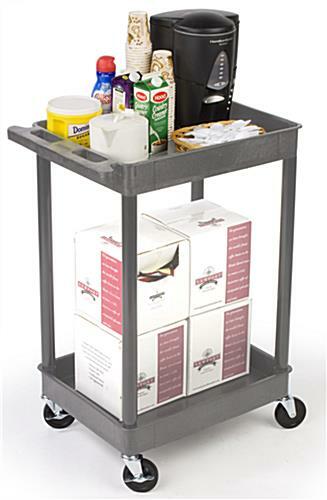 Another way the mobile cart is utilized is by helping housekeepers bring all their cleaning products along with them as they work. 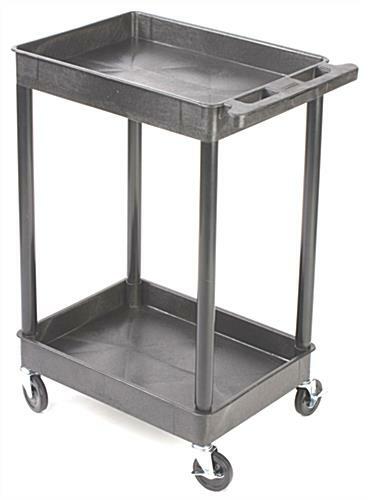 Bussing tables in any restaurant is simple with one of these handy trolleys. 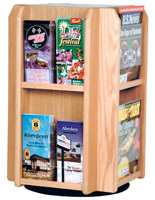 The tall narrow design is easy to steer down narrow passageways commonly associated with the hospitality industry. This economical utility truck, mobile cart is made of polyethylene, a tough and light weight plastic. This material is used throughout the world because it is a cheap, reliable, and chemically resistant plastic. 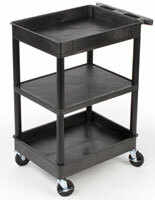 Another great feature about this mobile cart is its two, 2-3/4" deep storage shelves that securely holds supplies and other necessities. Each commercial dolly has four swiveling caster wheels for precision steering. 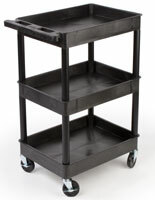 This mobile cart, also known as a hand truck, will make every task easier and completed faster! 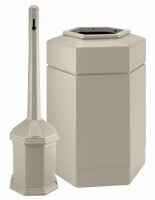 This unit ships unassembled to save on shipping costs. Please Note: This mobile cart requires two people for assembly. Rubber mallet and hardware necessary for assembly are included. 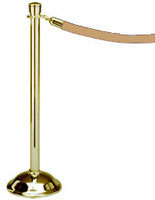 18.0" x 38.5" x 17.5"